Trigger finger is common, often presenting as pain at the base of the finger in the palm, especially when trying to straighten the finger. It can be associated with a lump and can produce a “click” when the finger is straightened. The tendon and surrounding sheath become swollen restricting the gliding of the tendons causing them to “catch”. The reason it occurs is not always known but it is commoner in the dominant hand, patients over 60 years old, people with diabetes or arthritis, and women. Once the finger starts to get stuck it usually gets worse unless treated. For triggering that has been going on for less than 6 months, preventing the movement of the finger using a splint for up to 6 weeks can be effective in around 50% of patients. However, it can result in some stiffness of the finger. Most specialist hand surgeons treat trigger finger with a steroid injection in the first instance. This is usually effective and can be done in the outpatient clinic. Patients are able to use the hand immediately, although the triggering may take a couple of weeks to settle down. Sometimes a repeat injection is needed 6 weeks following the first injection. If the finger is severely affected then a steroid injection may not work. In these cases, a small operation can be done to physically open the entrance to the sheath and stop the tendons from catching. This surgery is done under local anaesthetic but must be carried out by a specialist hand surgeon, as there is a higher risk of complication if done by someone inexperienced. Cure rates approach almost 100%. It is not usually painful afterwards and patients are able to use the hand normally almost immediately. Sometimes triggering occurs in children under one year of age. This is different from adult triggering and should be treated by a hand surgeon specialising in children’s hand surgery. In patients with rheumatoid arthritis, the operation is slightly different and you should consult a specialist hand surgeon who will explain the difference. Thumb pain is common. It is often due to “wear and tear” known medically as osteoarthritis. This affects the joint at the base of the thumb in most cases but can affect any joint in the hand. It can result in pain, weakness, stiffness and decreased function, especially on pinch grip. The diagnosis is made with a combination of history and clinical examination. X-rays are required to demonstrate the underlying joint damage. There is no “cure” for osteoarthritis but the good news is the symptoms can be controlled in most cases. Hand therapists will help with splinting, joint protection and other pain reducing and functional improving treatments. There are many other causes of thumb pain and it is important that you get the correct diagnosis before treatment can be given. 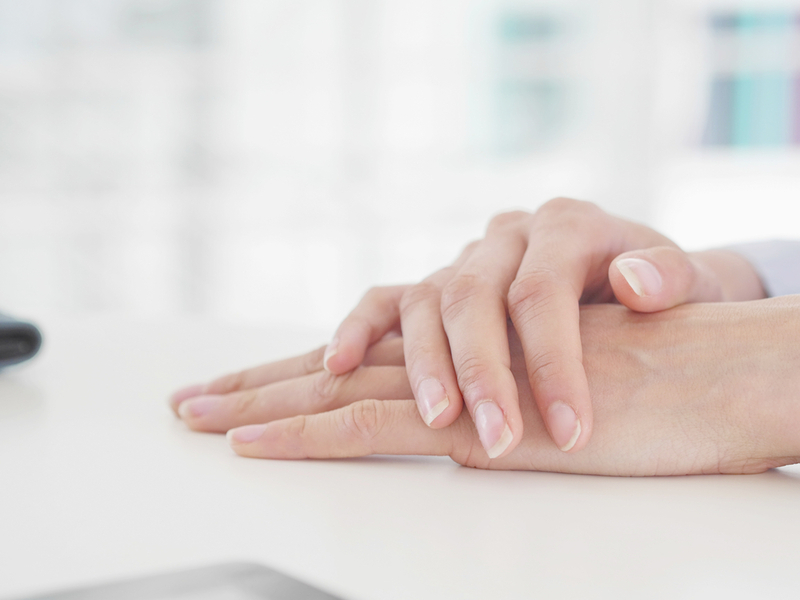 Your GP will be able to diagnose this for you in most instances, but sometimes the symptoms are not clear and you should see an experienced hand surgeon who will be able to give you an accurate diagnosis. This article is for information only and should not be used for the diagnosis or treatment of medical conditions. myHealthSpecialist makes no representations as to the accuracy or completeness of any of the information in this article or found by following any link from this article. Please consult a doctor or other healthcare professional for medical advice.